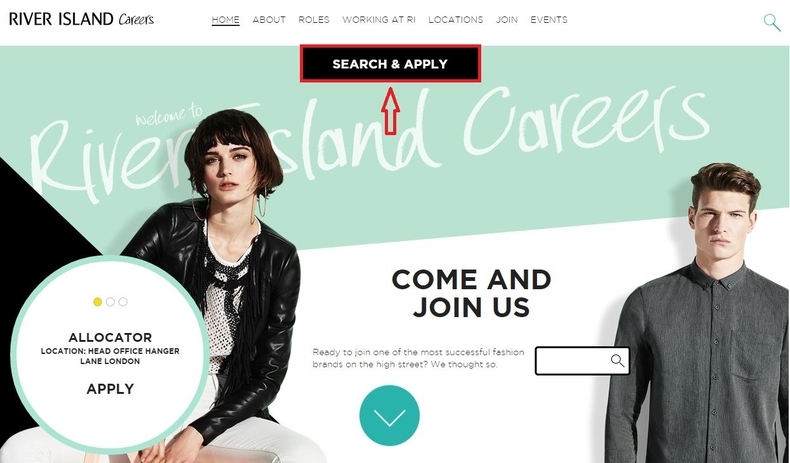 Visit River Island careers page at riverisland.com/careers or riverislandcareers.com to view more about the brand and its careers. 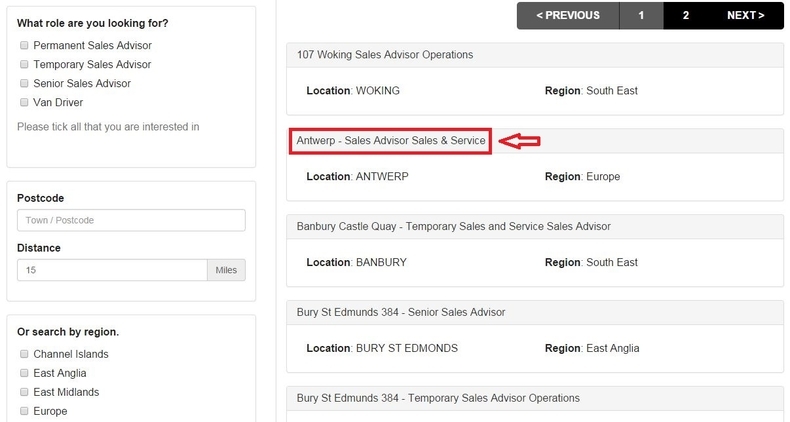 You can click "SEARCH & APPLY" to start to find opportunities for you. 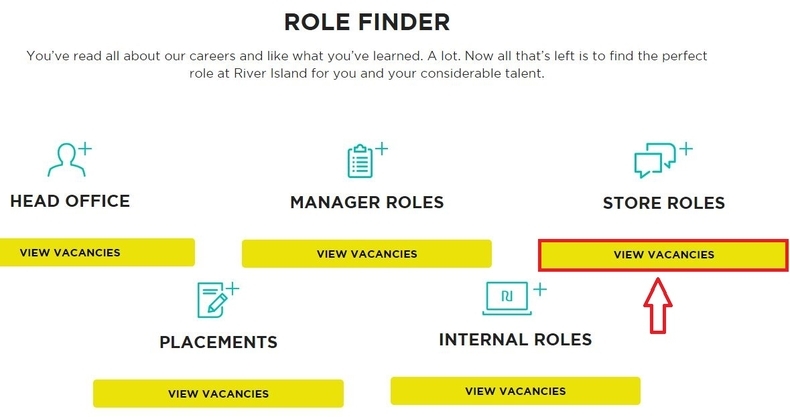 There are five different roles, among which you can select one to find job vacancies for you. Here we select STORE ROLES and click the link to view vacancies. Browse the job vacancies list and select the position you are most interested in. You can click the job title to view the details of the position and then click the button APPLY NOW to start your application. Here we choose the second position to set you an example. Provide information or answer questions about you, like your work availability, age, work experience, industry experience, criminal convictions and right to work after you read the Privacy Statement. Follow instructions to finish all the questions and then click "CONTINUE" to move on. Enter your email address and password to login. If you are a new user, just click "Register" to create a new account for you. Fill out your personal details/application form like your title, name, address, contact details etc. and then click the CONTINUE button to proceed. 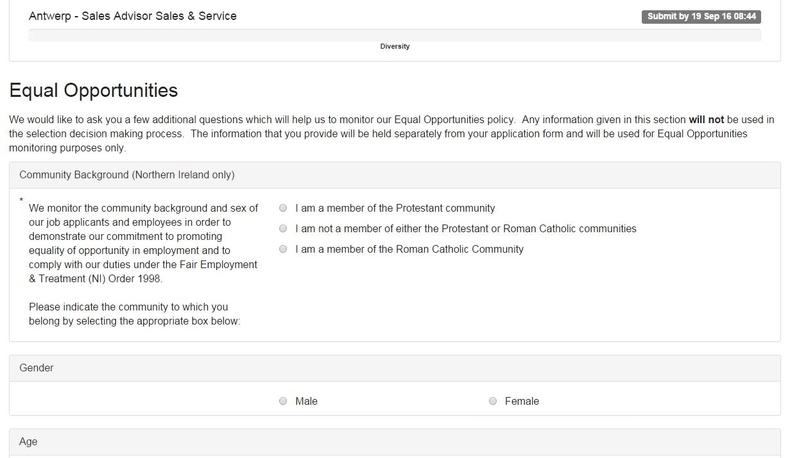 Follow instructions to complete the rest steps by completing a questionnaire regarding your diversity, feedback etc. If you are a new user, you need to activate your account. 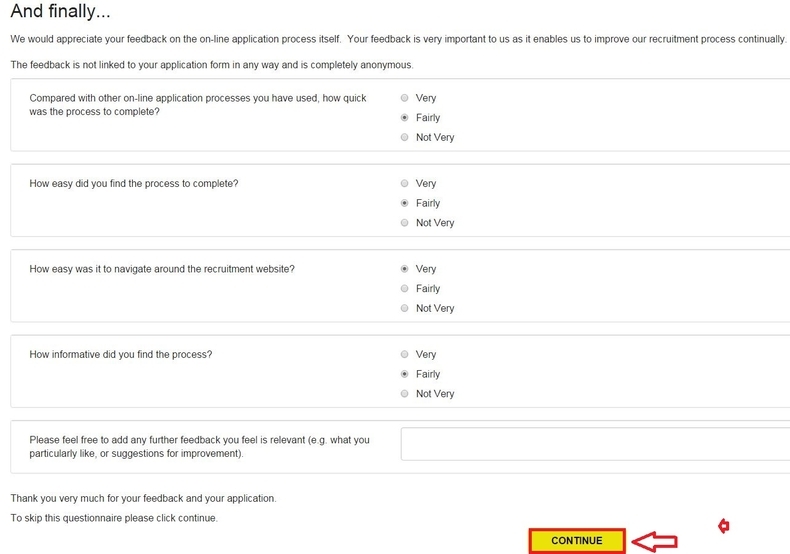 After you finish the questionnaire, just click the CONTINUE button to submit your application. 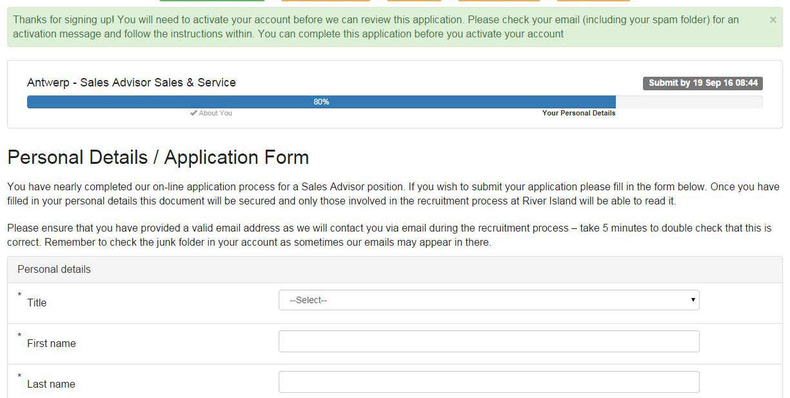 After you submit your application, you will be entered into a page where you can see the notification - Your application is being processed. This means you have finished the whole online process. 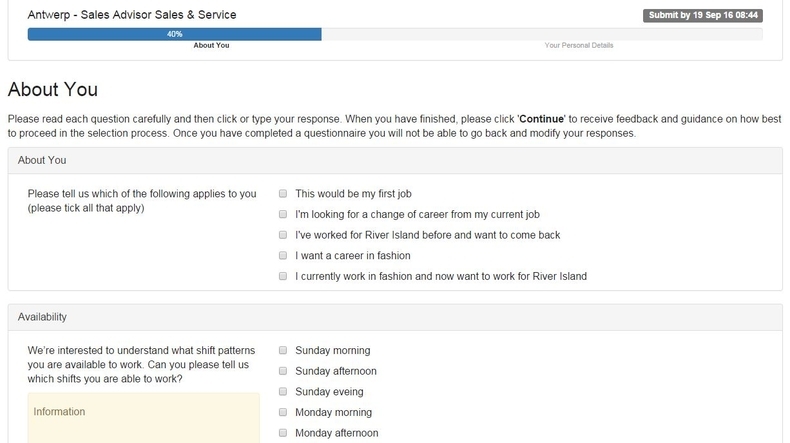 Click riverislandcareers.com to apply for River Island jobs online.